What can I say about wonderful Woodhill Hall? It’s a genuinely quirky, beautiful and stylish boutique Wedding Venue set across the Moors near Otterburn in Northumberland. The view from the Orangery and Terrace is gorgeous, the various spaces all lovely and the food – well you just have to taste the food for yourself! And you get the entire place to yourself! But – the real asset for this venue is Owner Corrinne, along with her loyal, dedicated and hard-working staff! Corrinne is err, well she is, Corrinne is eccentric! She has a great imagination and an amazing vision for Woodhill Hall. Every time you visit there will be something different and something new. That is the wonder of Corrinne! I’m delighted to have been Recommended Master of Ceremonies and Wedding DJ to Woodhill Hall pretty much since they started doing Weddings. I think my first booking there was back in about 2010. Then in 2011 I did 2 very unusual weddings very closely together. 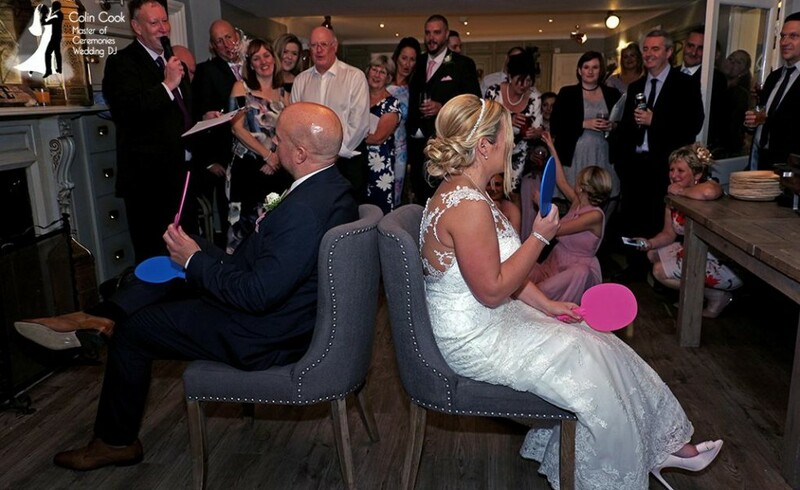 One was a Japanese/English wedding and the other an English wedding with a real difference. These weddings and the feedback from them, along with every wedding since have cemented my relationship with Woodhill Hall and it is a venue I love to be at. Although I do occasionally perform at evening only functions here most clients book my All Day Service and the incredible personalisation and planning help of having me as Master of Ceremonies. Woodhill Hall often attracts couples who want something different. They often want a relaxed, informal day but with everything done ‘properly’! Ta-Dah – that’s my speciality! I can work with my clients to help present a day which truly reflects their personalities, their sense of humour and help create the atmosphere they want! Woodhill Hall has some challenges too. With many rooms and spaces your guests can become spread out and this requires a different kind of approach to DJing. As Wedding DJ I discuss these challenges with you and various strategies to ensure that your guests have an amazing time. I can use a wide range of equipment at Woodhill Hall too, depending on the plan of action for your Wedding. 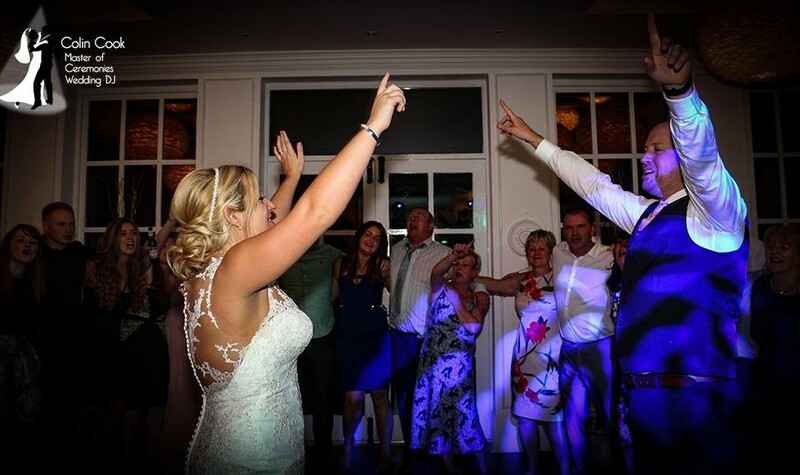 If you are having the entire day and evening in the Orangery then I will generally set up my standard ‘rig’ (without disco lighting of course) to manage your Ceremony, should you choose, for music for your Wedding Breakfast and to power the Radio Microphone for your speeches and my announcements. Generally I’ll use the White Rig as this blends in perfectly with your chosen scheme. This includes a custom built white deckstand and white speaker system. If you’ve booked Uplighting this will be installed before your guests arrive. Once your Wedding Breakfast is finished and the room is being turned around for the evening function then I install the disco lighting. This ensures that your daytime function looks classy. If you are having the evening in the Tipi (Teepee) and the daytime in the Orangery then instead I will pre-arrange your daytime music (and Ceremony if required) and install them to a tablet PC running specialist software. I use a discreet, quality speaker (currently a Bose L1 Compact) and connect a wireless microphone. If you are also using a musician to play music during your Ceremony or Wedding Breakfast I may be able to arrange connections for that too, which means a smarter look (and an easier setup for the musician!). Prior to this I will also have my Disco Rig set up over in the Tipi. Many couples like to book the Tipi, either for the evening or for the Wedding Breakfast too. This gives a festival style feel to your Wedding. I regularly provide entertainment in the Tipi either for the entire evening or working alongside bands or other entertainers. One of the wonders of Woodhill Hall is the sheer diversity of spaces available for you and your guests. With the Orangery, Dining Room, Elephant Courtyard, BBQ area, Tipi, Secret Bar and so on there is a combination to suit every couple. Because of this I quite often provide services across the Venue. 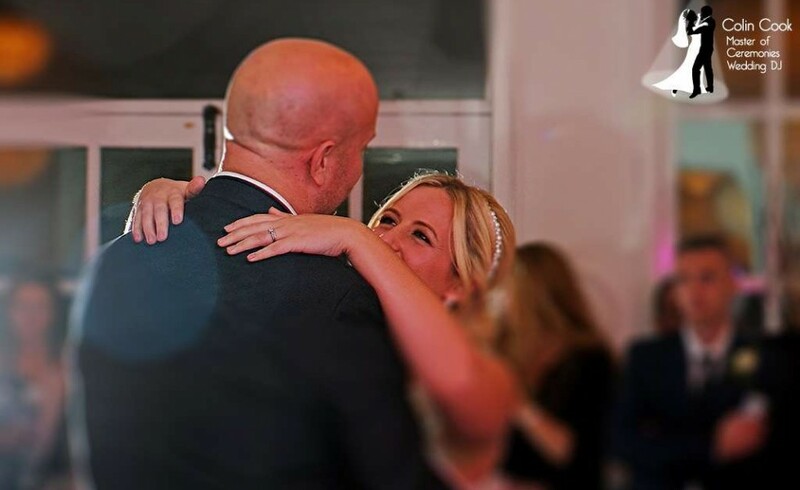 For example you may have your Ceremony in the Orangery, Drinks Reception in the Elephant Courtyard, Wedding Breakfast back in the Orangery and your evening function over in the teepee. I have a range of smart, discreet and high quality equipment to allow me to provide music throughout and alongside my services as Master of Ceremonies.